Situated along beautiful Penobscot Bay, mid-coast Maine. Settled in 1770, Belfast’s past prosperity in fishing, shipbuilding, commerce and industry has left a legacy of fine Greek and Gothic revivals, Italianates, Capes, Mansards and Queen Annes. The historic district is huge, and spans from the beautiful tree-lined residential area, to our historically intact Main Street commercial district overlooking the harbor; including the City Park on 15 acres facing the bay. Just down the hill from the inn are Belfast’s intriguing shops, cozy restaurants and coffee houses, all tucked into the fine nineteenth-century brick buildings that march up from the waterfront. 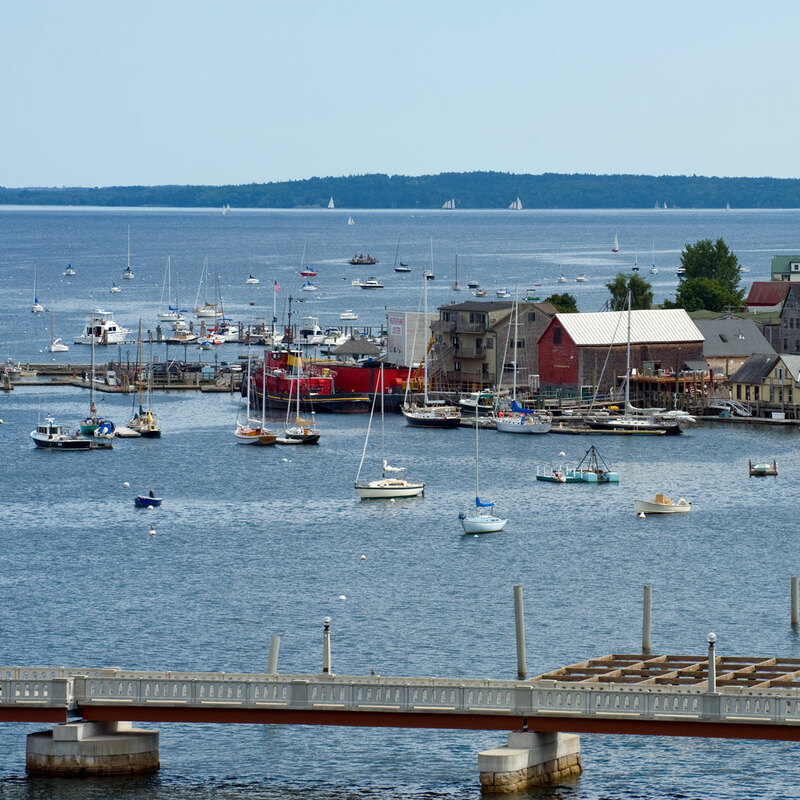 There’s lots to do nearby, too, thanks to scenic cruises, golf, tennis, art galleries, a cornucopia of antique shops, acclaimed summer theatre, concerts, festivals, lobster picnics, museums and great places to hike and swim. Explore as much as you’d like, or just spend time relaxing in the parlors or on our shady verandas. 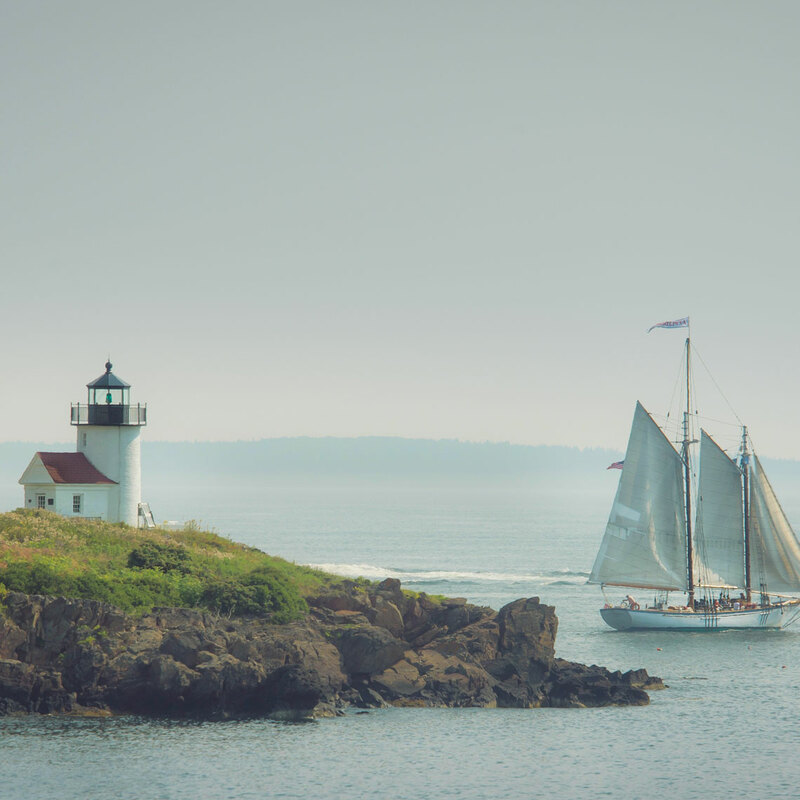 Nestled on the shores of beautiful Penobscot Bay, Belfast is perfectly located for day trips up and down the coast. You’ll find windjammer cruises, ferry boat rides to islands, a maritime museum and four state parks all within an easy drive. Camden is only twenty minutes away, and it’s just over an hour to Bar Harbor and Acadia National Park. The innkeepers are lighthouse aficionados, if you enjoy searching out new lighthouses there are numerous ones in the area. Just ask the innkeepers to point you in the right direction. Let us plan your day excursions while you enjoy your stay at The Jeweled Turret Inn Bed and Breakfast.